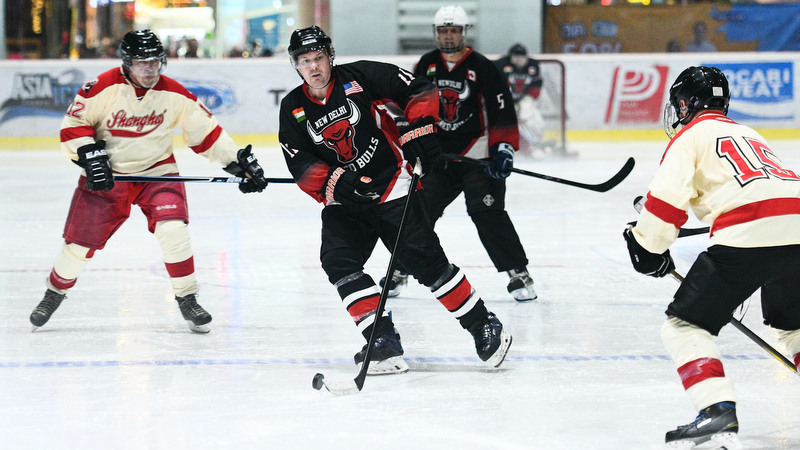 ICE HOCKEY: The New Delhi Sacred Bulls, the Shanghai Red Guard and 22 other teams competed in the City of Angels Ice Classic held March 27-30 in Bangkok at the Rink, Grand Central Rama IX. 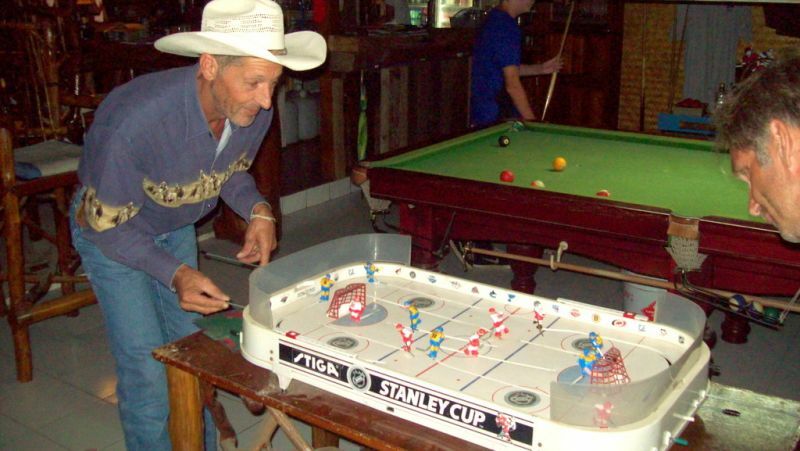 The late Joe Burgess playing table top hockey at Nok & Joe’s in Bang Tao, Phuket. 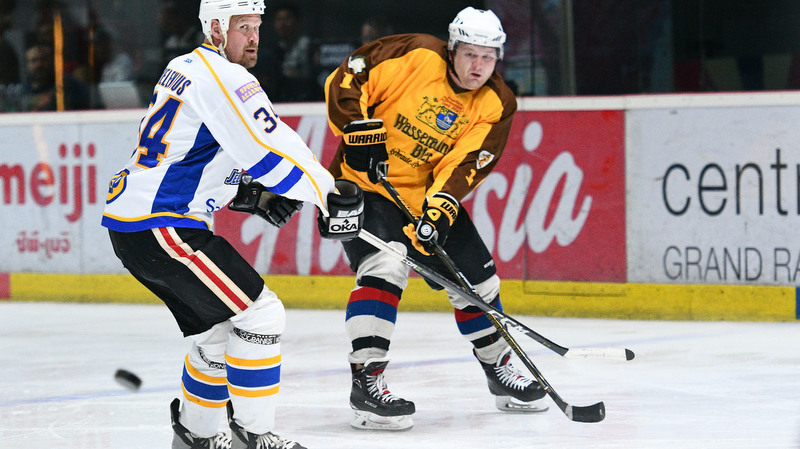 Long-time tournament participant Joe Burgess died recently in Phuket, so tournament organiser Scott Whitcomb of Jogsports named one of the divisions after him and the Tokyo Hockey Freaks defeated the North of 69ers 2-1 to capture the division honouring Joe. 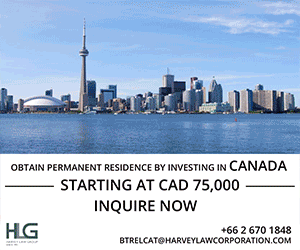 Joe, a skilled carpenter who built Canada’s third-largest log cabin, moved from Canada to Phuket to help with the clean-up after the devastating tsunami of Dec 26, 2004, but he stayed on, fell in love with Khun Nok and opened a restaurant on Bangtao Beach called Nok & Joe’s. In the last year of his life, Joe got ice in Phuket and he couldn’t have been happier, even if the Zamboni wasn’t working properly. Joe taught kids and organised shinny hockey at the Phuket Ice Arena in Boat Lagoon. He sadly passed away in the early morning hours of March 14. 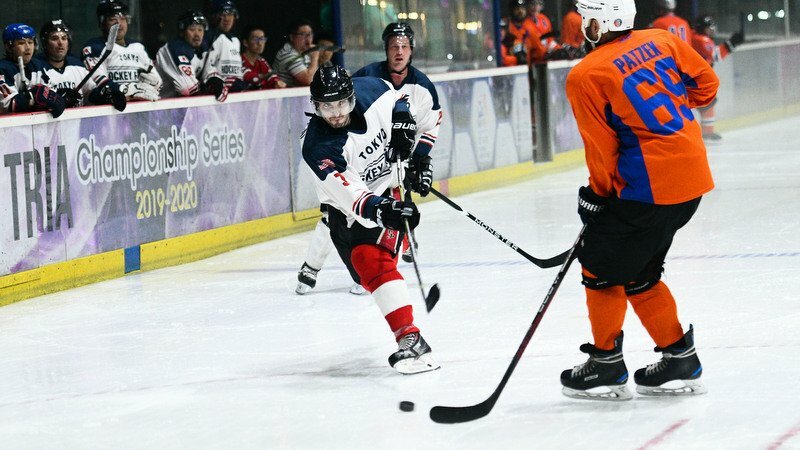 Phuket Ice Arena coach Mikhail Serkin and Phuket Pirates player Michael Forbes made the trip up to Bangkok from Phuket to play with the Russian team Amhel in the City of Angels elite division. The Flying Farangs had two teams in the tourney; the above-35 squad lost to Jellonas from Finland 3-2 in their semi-final match. 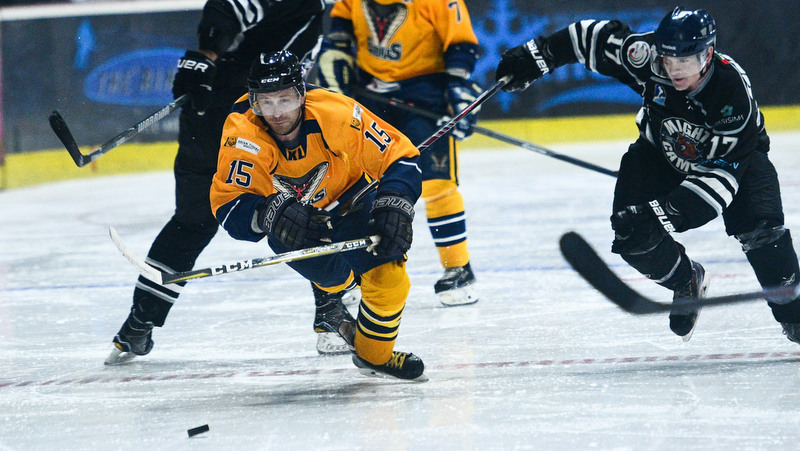 Jellonas featured former NHL player Sami Helenius who suited up for the Dallas Stars and Colorado Avalanche among others during his professional career. 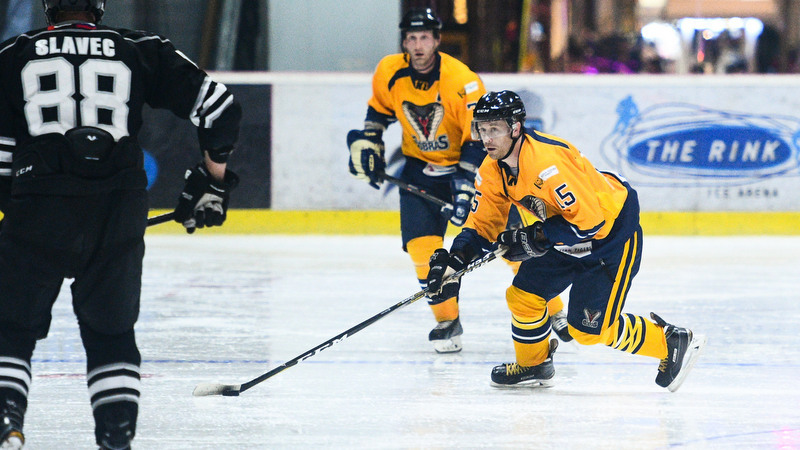 The Flying Farangs over-40 squad led by captain John Schachnovsky captured their fourth straight title, beating arch-rival Hong Kong Tigers 4-1 in their division final. 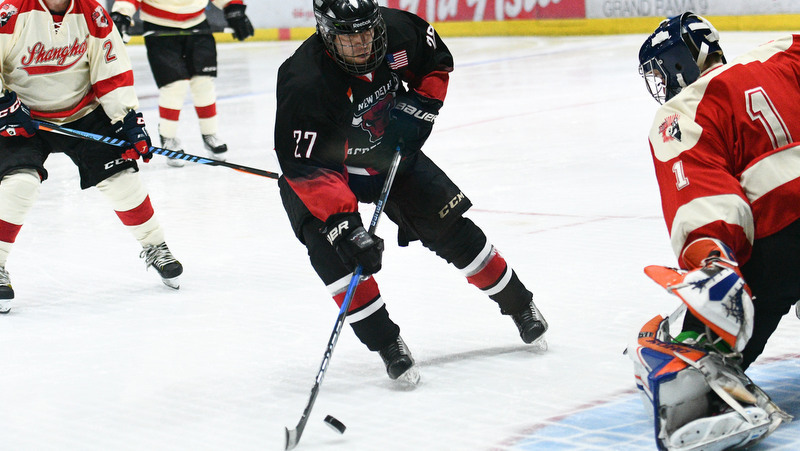 Kari Miettinen of the KL Cobras Rec team was the leading scorer in the tourney with 15 goals and one assist. Bangkok’s Andy Brine had the most assists (10) while Tero Kipela of the Abu Dhabi Scorpions led the goalies in wins (4) and goals against average [GAA] (.60); Brad McNamee of the New Delhi squad had the best save percentage (.982), while four goalies (Brad McNamee, Tero Kipela, Brad Baker of the Tokyo Hockey Freaks, Partick Leduc of the Flying Farang) shared the shutout lead with two each. Full final results: +40 Tier IV, Phuket Joe Memorial Cup: Tokyo Hockey Freaks 2 North of 69ers 1; +40 Tier III, The Rink Finals: New Delhi Sacred Bulls 3 Shanghai Red Guard 2; +40 Tier II, Concept Water Finals: Jakarta Dragons 7 Singapore Manimals 4; +35 Tier II Power Play Sports Finals: Singapore Dons 4 Kuala Lumpur Cobras “Rec” 1; +35 Open Samitivej Finals: Kuala Lumpur Cobras “Open” 3 Dubai Mighty Camels 0; +35 Rec Tier 1 Finals: Abu Dhabi 3, Jellonas 0; +40 Tier I Jogsports Finals: Bangkok Flying Farangs 4 Hong Kong Tigers 1. The tournament coincided with the departure of the Thai National Team for the United Arab Emirates where they will compete this week in the IIHF Division 3 qualifying round against Hong Kong, Kuwait, Bosnia Herzegovina, Kyrgyzstan and hosts UAE. 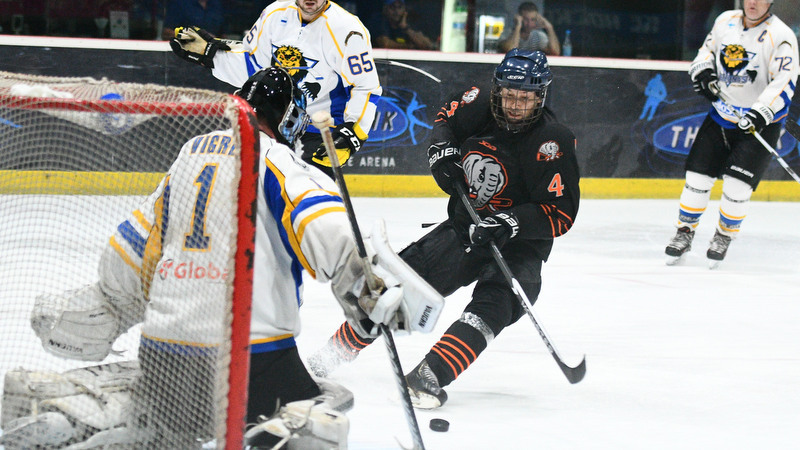 The Thai team won its first game on Sunday with a 5-4 shootout victory over Bosnia Herzegovina.